Alan's Factory Outlet 2 story garages are built by the Amish and delivered fully assembled with the roof hinged for transport. The two car 2 story garage is delivered in two sections. The roofs are raised and the 2 sections are bolted together. It only takes about 3 to 5 hours for the garage to be finished and ready for you to start enjoying. 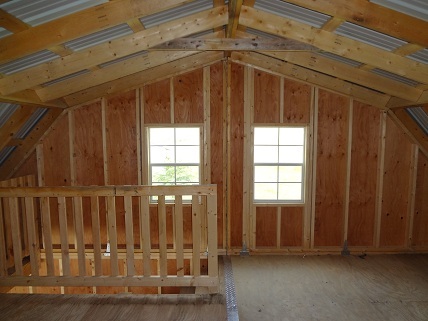 The two story garages are constructed in a barn or a-frame roof. The Amish are known for their quality craftsmanship and the 2 story garages offered by Alan’s Factory Outlet are no exception. 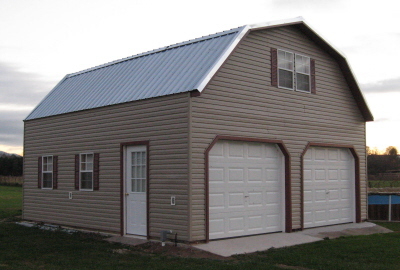 Our two story garages are offered at excellent prices, with free delivery and setup in 30 counties within Virginia and West Virginia. 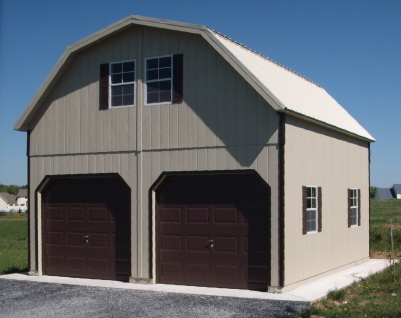 Alan's Factory Outlet 2 story garages are an easy way to get a detached 2 story garage fast without all the hassle of getting it built on site not to mention the major money savings involved with getting a prefab garage built by quality Amish craftsmen. Our two story garages are available in wood and vinyl and can be purchased with or without a floor. The vinyl siding on our garages come with a lifetime warranty while the wood garages come with a 25 year guarantee, ensuring that you are receiving a quality product. We also offer a number of additional options including insulated roofs and floors, single or double wooden doors, various garage door sizes, and windows. 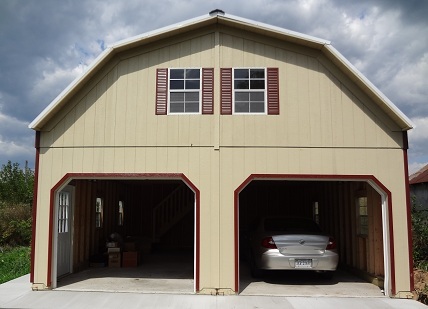 Along with space for vehicles, two story garages offer ample space for storage with an easy to access second floor. Eight feet of headroom on both the first and second floor of the garage ensures that there is enough space to freely move around. No matter what you need a 2 story garage for, we are sure to have something to meet your needs. 2 story garage without a floor option. This particular 2 story garage has 8' headroom downstairs and upstairs in the center. If you do not need a garage door the garages can be turned into one of the 2 Story Sheds that come in many sizes to suit your needs. 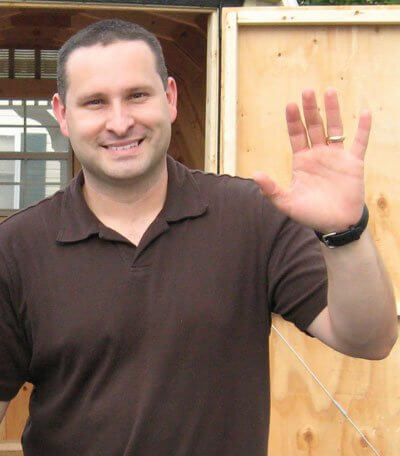 Whether you purchase a two story garage or one of our two story sheds, you can rest assured that it will be a quality product that will last for years. Here are a couple of videos on the two story garages that can be purchased from Alan’s Factory Outlet. The first one is a 24x24 a-frame two story garage with a floor. The second is a 24x24 barn two story garage without a floor. Check out the videos to see the differences between two story garages with floors and without floors.